Cybersecurity companies have experienced a disjointed year in 2018. On one hand, you have sector leaders like Palo Alto Networks (NYSE:PANW), which has gained nearly 26% year-to-date. On the other, you have Symantec (NASDAQ:SYMC). Beleaguered SYMC stock is down more than 19% YTD. The one thing that SYMC has in common with the cybersecurity industry’s front runners is that few, if any, have enjoyed an October to remember. Last month, Symantec stock dropped 15%, which isn’t too terrible compared to the competition. However, shareholders finally have something to smile about. Private-equity firm Thoma Bravo offered a buyout proposal to Symantec’s leadership team. Although we have no substantive details, the news was enough to send SYMC stock skyrocketing. Shares closed up 12.6% against the prior day’s session, and nearly 11% against Tuesday’s opening price. The proposed price for Symantec stock at this point is pure conjecture. However, Wedbush analysts waded into the guessing game, forecasting a valuation that could reach $30 per share. If so, the markets would value SYMC at more than $19 billion. Currently, we’re looking at $14.5 billion. Before investors get too carried away, it’s important to note that this is far from a done deal. As a mere proposal, discussions for SYMC stock could fall apart very quickly. However, some signs suggest that management is at least interested in the pitch. Will Thoma Bravo Buy Out SYMC Stock? This is an interesting time for Thoma Bravo to consider buying out SYMC stock. According to Financial Times, Wall Street has witnessed a wave of leveraged buyouts. On the table are aluminum-products firm Arconic (NYSE:ARNC) and Johnson Controls International’s (NYSE:JCI) battery division. Should Thoma Bravo prove successful in their bid, the SYMC buyout would represent one of the largest leveraged buyouts since the 2008 meltdown. Moreover, this isn’t their first rodeo when it comes to cybersecurity stocks. Earlier this year, the private-equity firm bought cloud-based cybersecurity provider Barracuda Networks for $1.6 billion. A little less than a month ago, Thoma Bravo sealed the deal for Imperva (NASDAQ:IMPV). Upon the news, IMPV shares jumped past $55, which values the company at around $2 billion. Thoma Bravo has also invested in Sailpoint Technologies (NYSE:SAIL), which specializes in identity authentication, and Bomgar, a remote-access software firm. 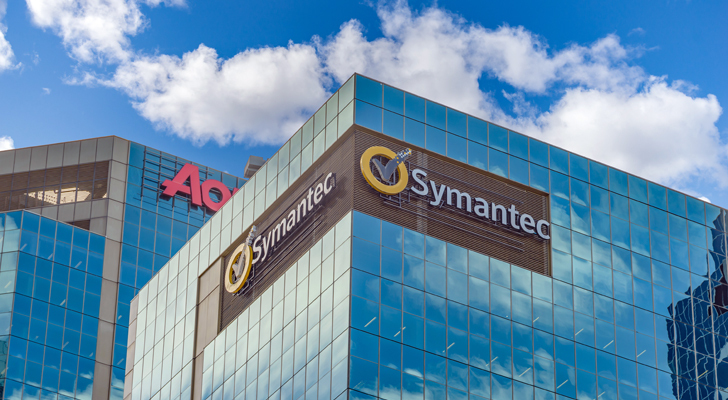 Adding Symantec stock to their portfolio would provide the organization with considerable cybersecurity clout. Another factor to consider is that SYMC stock hasn’t exactly lit up the markets. Indeed, I’d characterize its performance as downright poor. The company peaked in October of last year. Since then, shares have lost more than 33%, and that’s including the Tuesday rally. Without it, we’re looking at around a 40% loss. The reason that Symantec stock has fallen from grace was the accounting-related scandal from earlier this spring. Management announced an internal investigation regarding its public disclosures. That obviously caused stakeholders to worry about the viability of their investment. SYMC stock tanked on the news, and not just for the potential funny business. The scandal levered a significant cloud on employee-compensation plans, and some fiscal forecasts. Internal investigators are still combing through the questionable data, which could lead to adjustments for financial results and forward guidance. The good news in this situation, if such a thing exists, is that Symantec beat its recent second-quarter fiscal 2019 earnings expectations. Against a consensus earnings-per-share target of 33 cents, actuals came in at 42 cents. That’s good for a 28% positive surprise. Further, SYMC delivered the goods on the revenue front. Against a consensus target calling for $1.15 billion, the cybersecurity firm rang up $1.18 billion. The biggest winner was their consumer security division, which gained 8.5% to bring in $601 million. Consensus was $582.4 million. The point here is that Symantec has an ideal opportunity to let Thoma Bravo take over the reins. Along with the terrible things that have happened to people who held SYMC stock, the company announced layoffs in August. The job cuts will impact 8% of its workforce. Of course, organizations have fought back from controversies to win back the public trust. Thus, Symantec agreeing to a buyout is not a foregone conclusion. However, investors should look at the writing on the wall. SYMC stock, if not Thoma Bravo, will find a buyer sooner rather than later. Article printed from InvestorPlace Media, https://investorplace.com/2018/11/the-buyout-offer-for-symantec-stock-is-perfect-timing/.